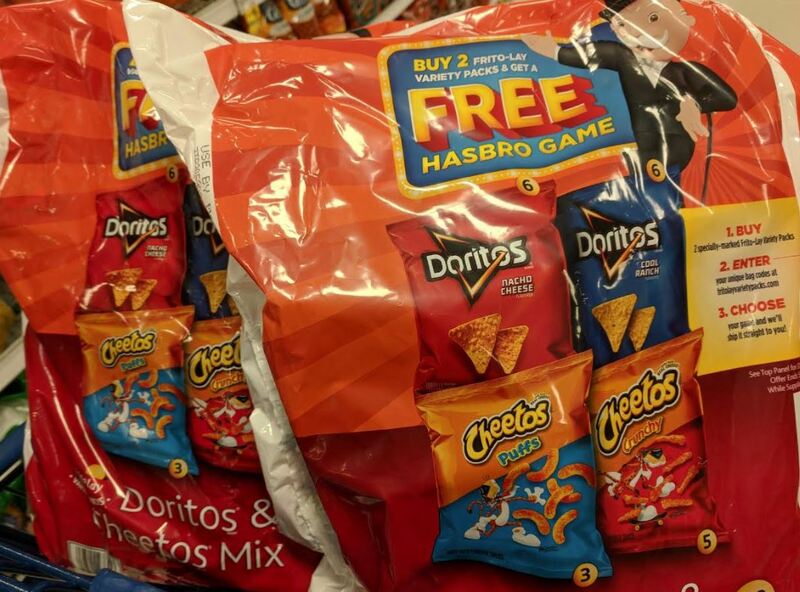 From now until May 4th, score a FREE Hasbro Game when you purchase two specially-marked Frito Lay variety packs and enter the codes here. I had the option of Yahtzee, a Monopoly card game or a game called Toast. There is a limit of one free game per household and game options may vary depending on availability. Within twenty-four (24) hours of submitting your request, you will receive a confirmation email containing a redemption link. Click on the link and provide your complete mailing address. Allow up to eight (8) weeks for delivery of your Hasbro game.